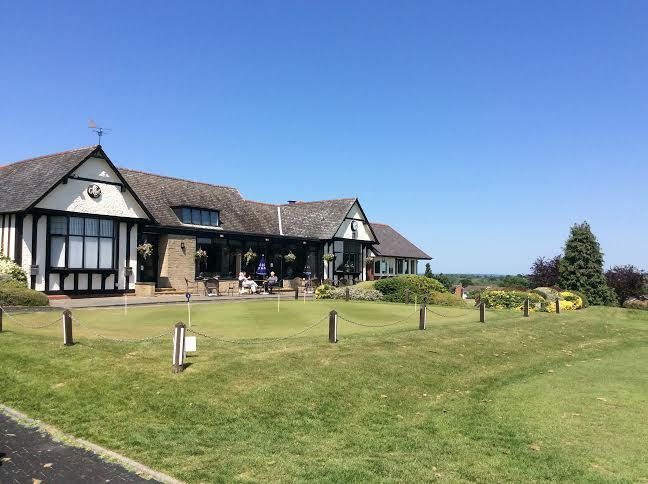 Leamington and County GC, one of the busiest member clubs in the West Midlands, has the experience of over 100 years of golfing tradition combined with a healthy modern attitude to bringing new golfers into the game. The club have undertaken some course developments of late, the MG editors came over a couple of years ago while they were ongoing. Now complete, it was time for a recap for this summer. And it was summer we found too, right in the midst of the June drought was when we revisited, a sweltering hot Warwickshire afternoon. Quite a beginning in store, the first is a 487 yard par five and all you can see is the crest of the hill around 200 yards from the tee, then it runs blind, downhill towards the green. On a day such as this there was naturally a bit of extra run, so there we were with a mere 170 yards to go over the running ditch to the green. Mid handicappers like Andy and I don’t get too many eagle putts, and weren’t destined to this time as the approaches went awry, but what a rewarding first hole this could be. Possible further joy can be gained at the next two, both of which only just tip over the 300 yard mark. A little tight and undulating with tree trouble very evident but your straight hitting and good club selection will be rewarded. It was one thing to enjoy the benefit of a bit of extra length from the tee but the greens were under scrutiny too, in unusually long dry spells such as these could they still reward and hang on to a good approach? The answer was an unequivocal yes – very impressive to enjoy such receptiveness in bone dry conditions when we got one right, the importance of being rewarded for a good shot should never be underestimated. Some hard work and regular maintenance to the putting surfaces during the winter months has produced great results, Leamington’s greens are currently as good as they’ve ever been. 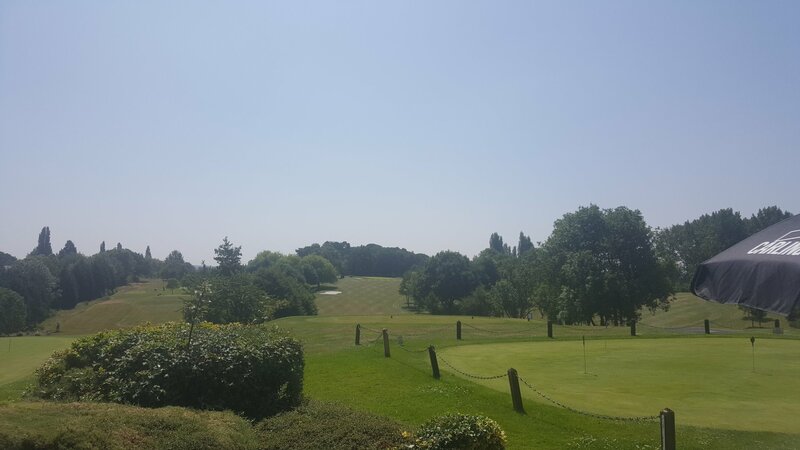 Moving on and further highlights during a very enjoyable front nine come at the fifth, a great dog leg hole with a downhill approach in prospect to a green that slopes from front to back. 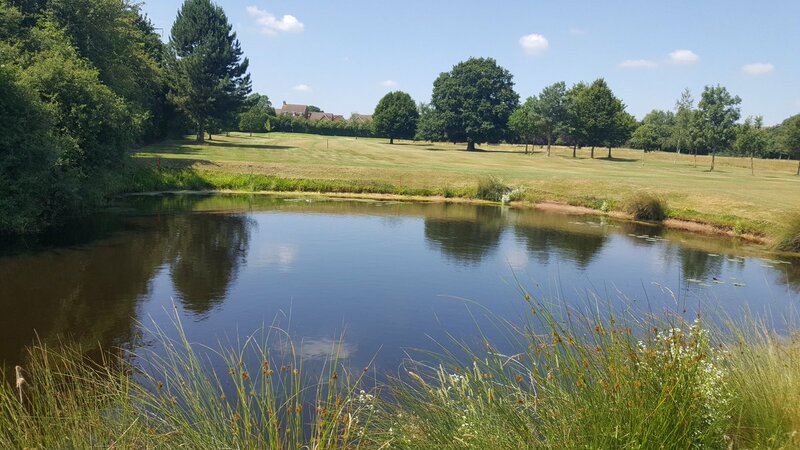 The seventh is another par five, all straight ahead with the courses largest water feature in range of a driver on the left. Both nines finish by the clubhouse and you’ll be ready for a drink after the ninth which runs uphill to a demanding putting surface. The closing stretch tees off with a lovely full on view of a short par four, across the valley to another raised green, then it’s signature hole time, and this one a little bit special. 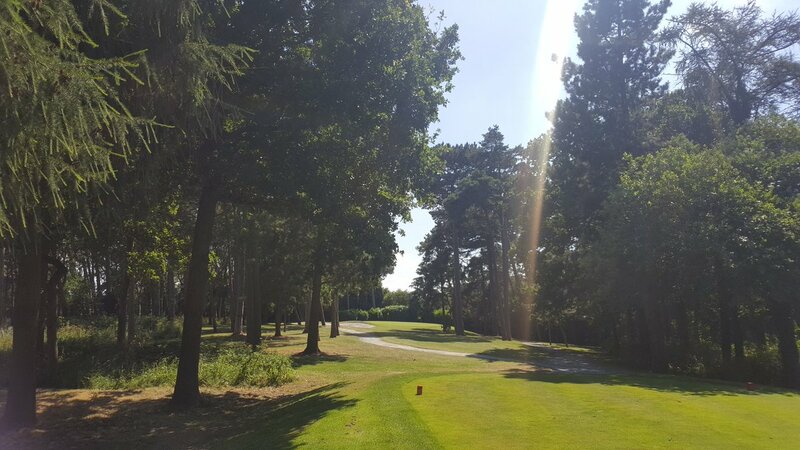 MG Pick: 11th 129 yards Par 3 Absolutely pretty as a picture, framed with tall pines all the way to the green. For a moment it’s like you’re in a completely different place. Not a lot more than a wedge in and a receptive green awaits, but stray off it and it gets very tricky indeed. Spare some energy and keep the skill level high for a very testing closing stretch that has a bit of everything. 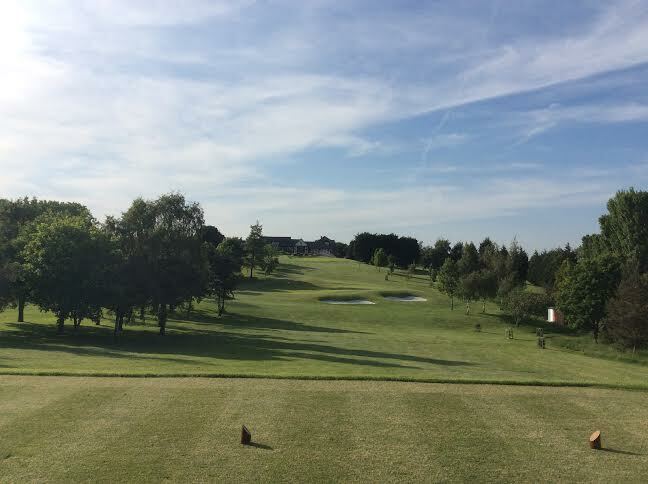 The longest hole at 14 with a bit of a carry from the tee, the longest par three at 15, well defended by its bunkering, then a shorter par four at 16, keep out of the fairway ditch on this one. The 17th has had a bit of work done, a new raised tee and aesthetically much improved, two good hits needed to find another sloping putting surface. Finally the same valley that runs through the 10th also stars at the closing hole, but this time it’s a par three and an awesome test for club selection which you must get right. The sideways facing green is cut into the bank with two punishing little traps awaiting anything that comes up short. 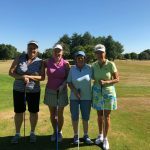 We scrambled a pair of bogeys and walked back to the clubhouse, hot and a bit tired but what a super round of golf. The new routing is a seamless transition and definitely for the better. Time for a much needed drink and a sandwich. A very large range of dishes on the bar snack menu, served in the spacious lounge which opens out to a real sun trap of a terrace area, overlooking the course. 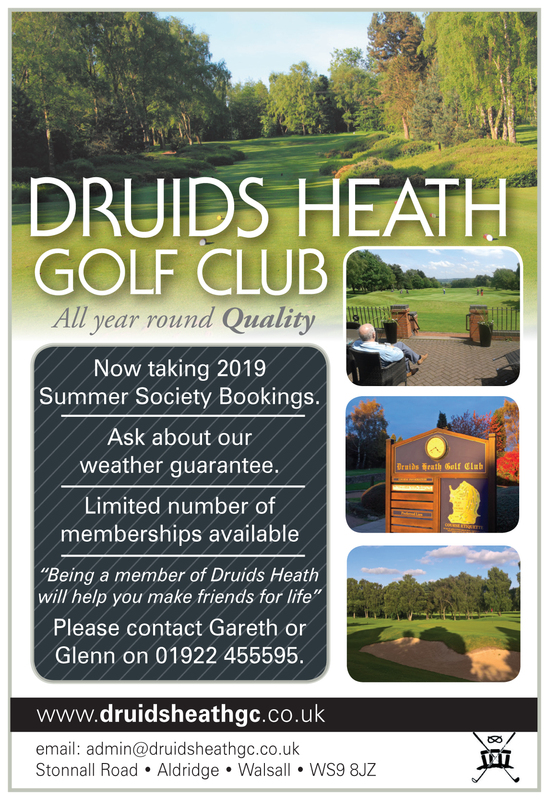 Elsewhere, a range of rooms are available to provide space for social events and conferences and the club restaurant is very highly regarded too. 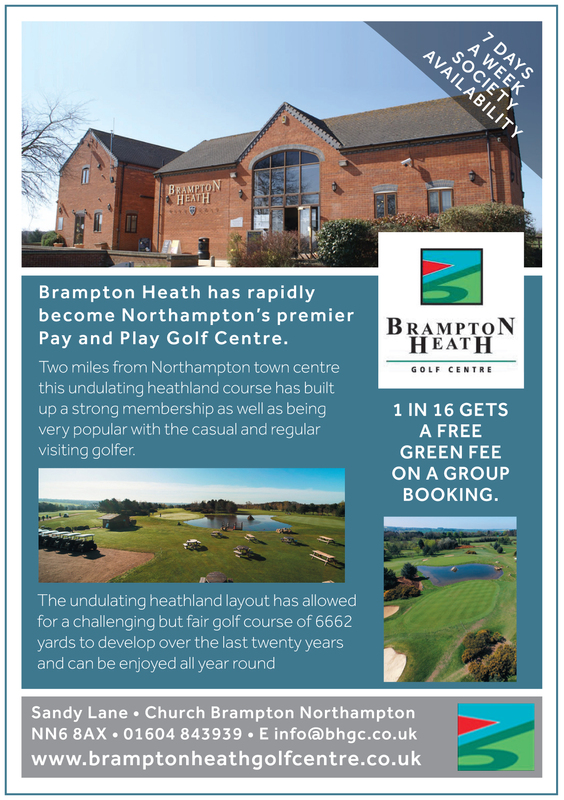 Headed by head professional Chris Thornton, this is one of the region’s most forward thinking clubs in terms of teaching individual golfers and especially Get into Golf schemes for a full range of new players. 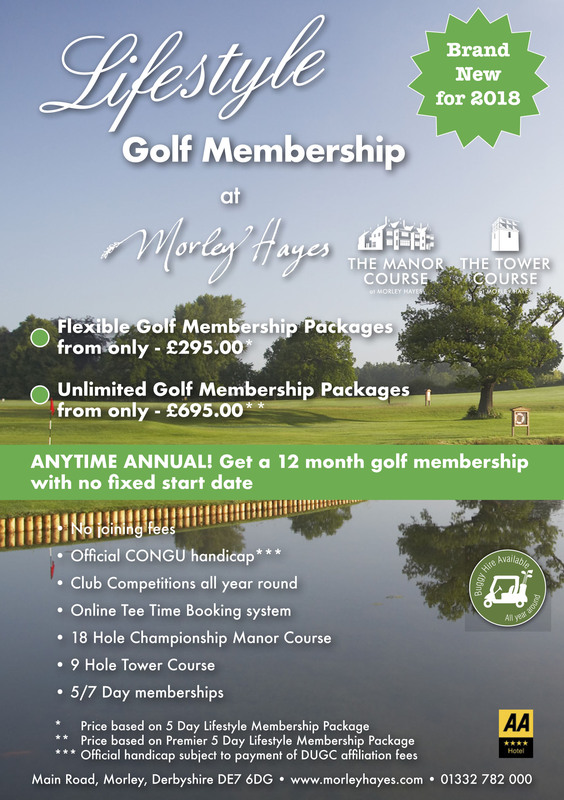 The club’s practice facilities include their superb indoor academy suite, which includes three driving nets, GC2 and full custom fit/club repair services.